Of late, I’ve been having incessant cravings for pan mee, which I foresee will last for at least 6 months. My wat tan hor phase lasted for a year, while my craving for NIPS chocolate lasted for 2 years. Heck, I even shipped 50 packets of the latter to the UK when I was living there. Thankfully, I’ve outgrown that peanut chocolate phase! 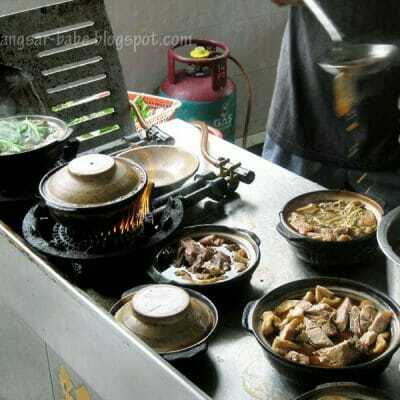 I’ve eaten pan mee soup, pan mee dry, spicy pan mee, tom yam pan mee, bak kut teh pan mee, curry chicken pan mee, chilli pan mee, loh pan mee and even fried pan mee. 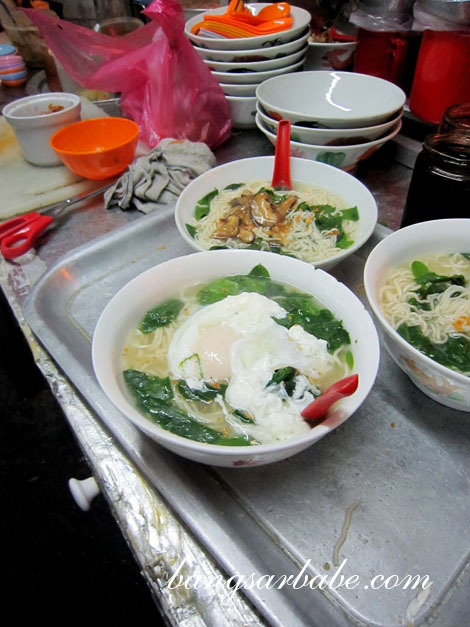 But nothing beats a good pan mee soup, which is unfortunately hard to come by these days. And I’m not going to wait for 1 hour and 10 minutes for the pan mee in Klang ever again. Ken recently introduced me to a good pan mee place in Old Klang Road and I’ve been going back there ever since – I had it twice in 3 days. Manned by a husband and wife team, the humble pushcart is located next to Fatty Bak Kut Teh in Old Klang Road. They start selling the pan mee at 8pm onwards, but go there late and you might have to settle for yee mee instead. 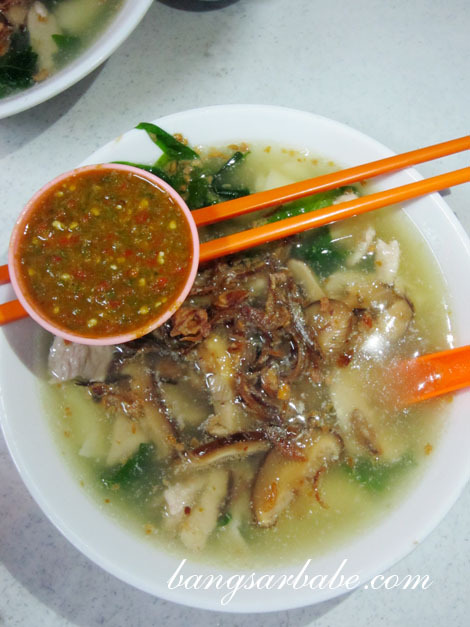 The pan mee soup with extra ‘liu’ (RM5.50) was delicious and also tongue-numbing if you overindulge in the chilli belacan. I asked for pinched noodles as that is the best way to enjoy pan mee, I feel. 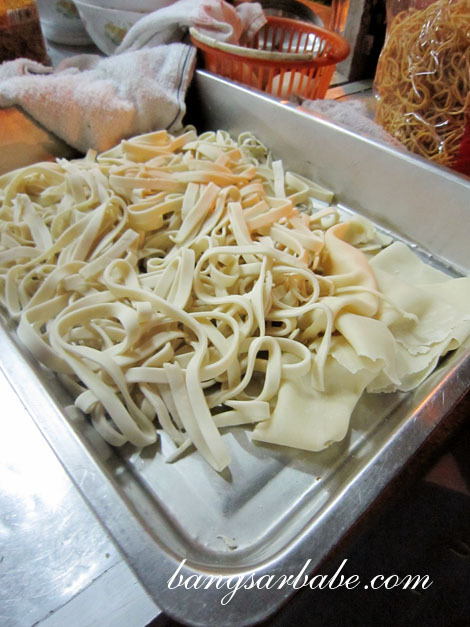 The noodles were toothsome with a slippery smooth texture and of the right thickness. 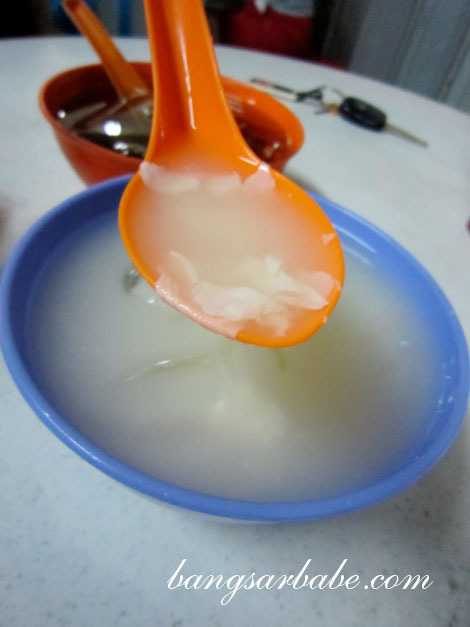 I couldn’t stop drinking the soup – sweet from the ikan bilis and bones. 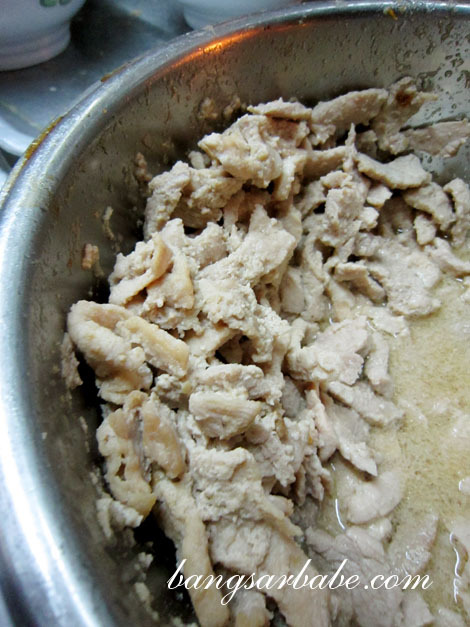 The nam yue marinated pork slices and mushroom further accentuated the flavour of the clear broth. You can opt to add an egg into your pan mee, but I would advise otherwise. The egg changes the flavour of the soup slightly and I like it as it is. 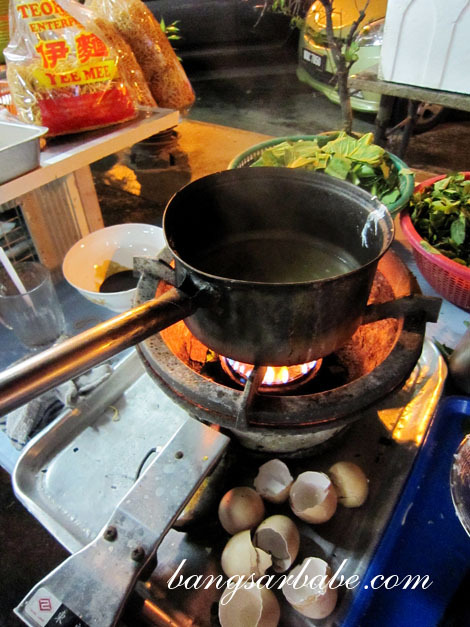 Alternatively, you can ask for the egg to be cooked separately and served in a side bowl. Go easy on the chilli belacan for it packs a fiery, fiery kick. Or if you think no pain is no gain, load up on another saucer and be prepared to camp in the toilet. Verdict: Good pan mee, enough said. Remember to ‘kah liu’! really tak boleh tahan seeing that sambal belacan!! What?? How can??? You HAVE to try pan mee. 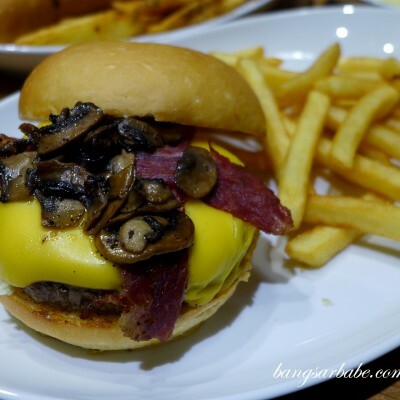 It’s comfort food! looks good le. 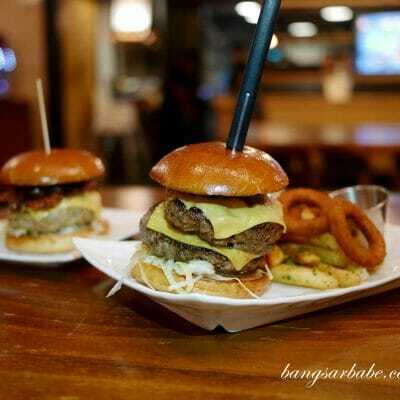 will go and try it…. I see got other stalls also.. what they sell over there? Got BKT, but not so nice, I heard. 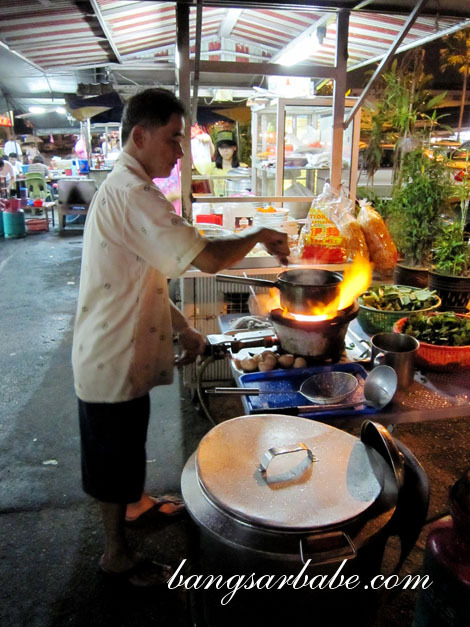 may i know where about in old klang road is this stall located? any landmark nearby? i love pan mee too! hardly can find decent panmee in penang :(. hey.. where is this exactly. sorry. It’s next to Scott’s Garden. 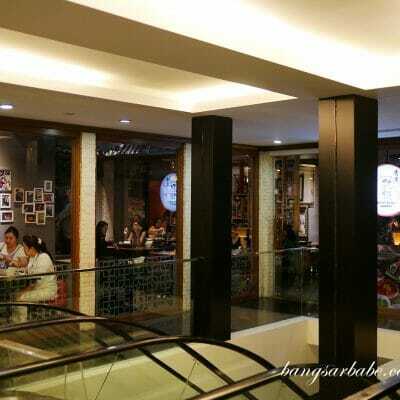 Where the bak kut teh stall is. 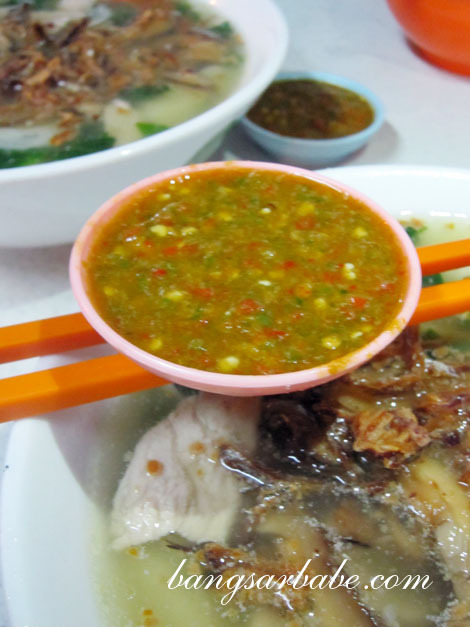 Look for the BKT stall and you’ll find this humble pan mee stall next to it. NIPS choc is a poor man’s M&M. Never get tired of it. 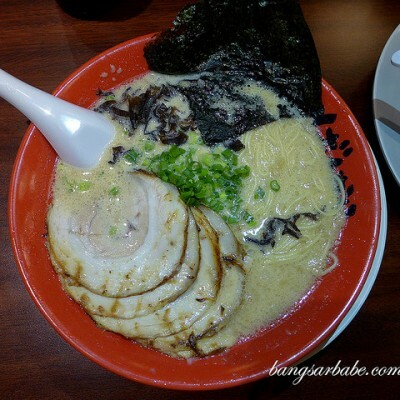 hi there,tried your recommendation, must say it wasn’t worth the wait..nothing great nor fantastic..wish you didn’t blog this pan mee, wasted my time going there to eat…i spoke my mind..no grudges..
1) I dont know if everyone can become a food blogger. 2) Or your taste bud is really bad. 3) Or u just need to fill up this pg of urs for the sake of it because there is no entry for the week. What I can say this is one of my biggest dissapointment following ur recommendation. Is my 1st time and last time. Sorry you didn’t enjoy my recommendation. 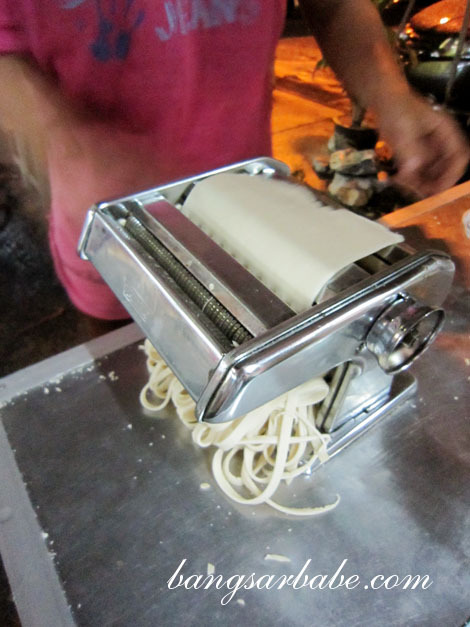 Perhaps you can suggest a better pan mee stall? 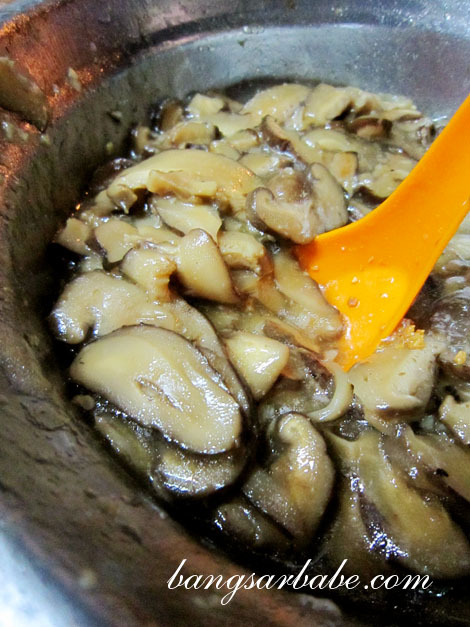 you mentioned you have tried bak kut teh pan mee….was it good and where is that? do you have a review? it sounds interesting 🙂 thanks!